There is an incredibly large percentage of Americans suffer from chronic headaches. The number has been estimated to be about 45 million. At times these headaches are so debilitating that daily routines of the day become impossible task to complete. With this amount of pain most people will resort to pain relieving medications and visiting different doctors to find answers to alleviate their pain. What one really needs is a visit to their dentist. Headaches can often be associated with your jaw bite. Specifically, the way your teeth meet when your jaw bites together. If your bite is off, your muscles have to work harder, and over compensate to keep the muscles working properly. This causes spasms that result into headaches. Furthermore an out of place bite would result into serious dental problems like grinding of teeth, problems with opening your mouth and teeth sensitivity. Therefore, fixing your bite, and harmonizing and balancing the bite forces will alleviates the pain and headaches associated with it. 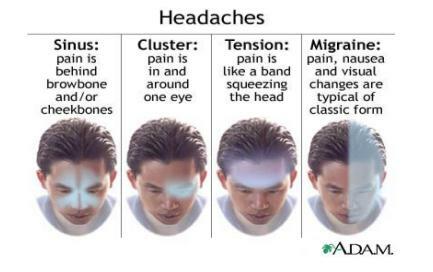 Tension headaches are the most common and is estimated to be 90% of all headaches. These headaches originate from the forehead. The muscles of the temple and forehead control the opening and closing of the jaw. If your bite is off, this will lead to tension on these controlling muscles. If this problem is not corrected theses muscles will remain tense and will not have a chance to rest properly. This will lead to improper circulation in these muscles. Poor circulation will lead to accumulation of waste products and eventually tension headaches occur. With advanced technology at NYC Smile Design, we can determine if the bite is the cause of these unnecessary tension headaches.